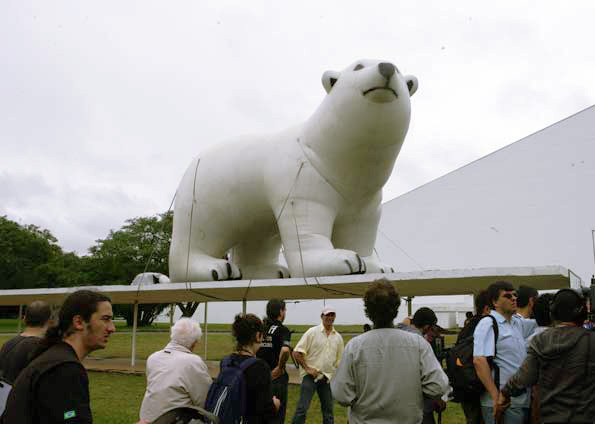 A Polar Bear, 12 meters high was inflated at Ibirapuera Park last Saturday and it will be there for two months. The proposal is to grab attention for the problem of global warming on the eve of the climate conference in Copenhagen, this December. 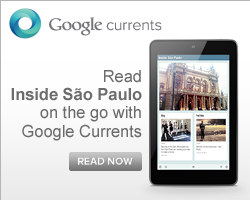 The campaign also suggests the use of "cool roofs": painting roofs and tiles using white color. It makes the roof capture less heat from the sun and helps reducing the local temperature and power consumption, less need for air conditioning.